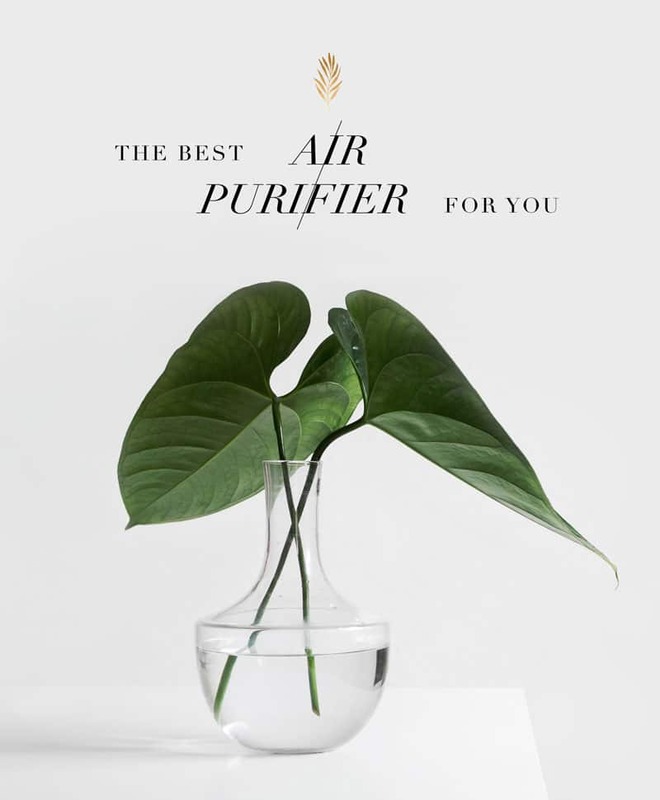 I’ve been using the best air filter for allergies, the Intellipure air purifier, for the last nine months in my home because the air inside our homes is so much dirtier than the air outside. This is mind-blowing when you think about how much the air in our home affects our health. It amazes me that we can focus so much on our detoxing food and detoxing our tap water but then we forget how much crap is floating around in our home that our lungs are being bombarded by. Our lungs, just like our skin and our liver, are a detox organ and not many people realize how important it is to understand what we’re inhaling (paints, conventional cleaning products, etc) in our home as well as dust and other toxins that accumulate over time. This Intellipure air filter is something I swear by now and love so much! It’s unlike any other air filter I’ve used before and trust me, I’ve tried a few. My friend, Max Goldberg, told me about Intellipure last year and I was really excited to see if I noticed a difference with this new machine. I noticed a drastic difference in my breathing, quality of sleep and allergies. Many of my clients who have this machine have noticed a HUGE difference in their snoring and asthma, as well. Most people don’t realize that dust particles are toxic (dirt from outdoors, skin cells, pet dander, toxic chemicals and even pesticides including DDT). A study done by George Washington University found 45 toxic chemicals in most floor dust samples. What’s even more fascinating is that ultrafine particles are known to cause cardiovascular disease, lung disease, stroke and Alzheimer’s disease. Ultrafine particles are found embedded in the brains of people suffering from Alzheimer’s. They’re so small, they easily travel over the olfactory nerve to the brain as you breathe them in. These get embedded in the lungs causing inflammation. So, I was curious why this machine was so different from what I used previously in my home. Captures 99.99% of airborne particles down to .007 microns in size (better than HEPA filters that only capture 9.97%). This makes Intellipure’s technology 40x more efficient than HEPA filtration standards. I was amazed by this because I have always been taught to get a HEPA filter by every expert! There’s a sleep mode option, which I love while I’m in bed. Overall, their air filter is by far the BEST one I’ve ever used. I can’t even begin to tell you the difference I’ve seen beyond what I’ve mentioned above. I highly suggest checking out the Intellipure website and giving them a call if you have questions. They’re so kind on the phone and they’ve been incredibly helpful with my machine and showing me how to use it.